Save some Green, Get some Green Sale! 3. Off to Amberif 07! Celebrate St. Patrick’s Day & the arrival of spring with the Wearing O’ the Green! Green Amber and Multi Colored Amber Jewelry styles from Andzia’s Amber are currently 15% off for a limited time. styles on sale now at amberjewelry.com. Brilliance line, featuring green amber & Swarovski crystals. 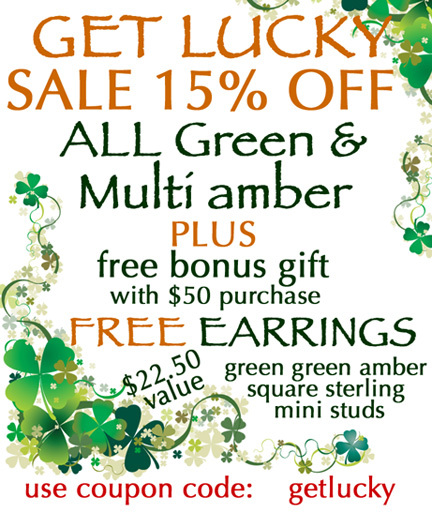 Plus, act now & receive a pair of green amber Stop & Go square studs free with your $50.00 purchase! * This is a limited time offer, while supplies last. use coupon code getlucky to redeem your free gift with purchase. 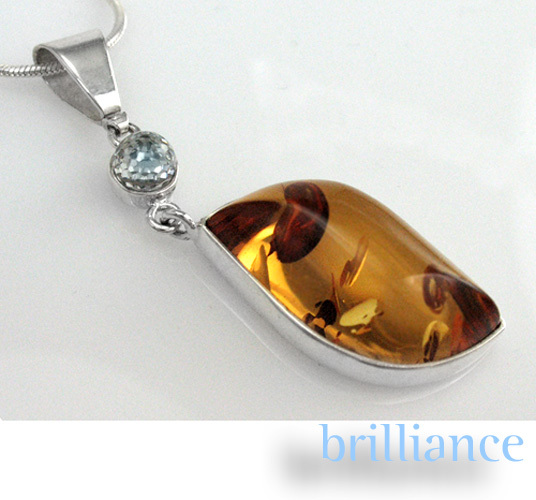 amberjewelry.com… The regular retail price is $22.50. During our St.
as a gift at a moment’s notice. Jewellery and Gemstones, edition 2007! history and tradition on both momentous and every-day occasions. commercial contacts will be established. The complete show schedule may be viewed here. plenty of new styles in the weeks ahead! update & trend report from Amberif 07!